The Offield Center for Billfish Studies has been conducting groundbreaking research on marlin species since 2000 and has grown into the largest billfish program in the world with over 450 satellite popup tags deployed on marlin around the globe. Paxson Offield was instrumental in developing MCSI’s largest research program, the The Offield Center for Billfish Studies (OCBS). OCBS has been conducting groundbreaking research on marlin species since 2000 and has grown into the largest billfish program in the world with over 450 satellite popup tags being deployed since the project began. 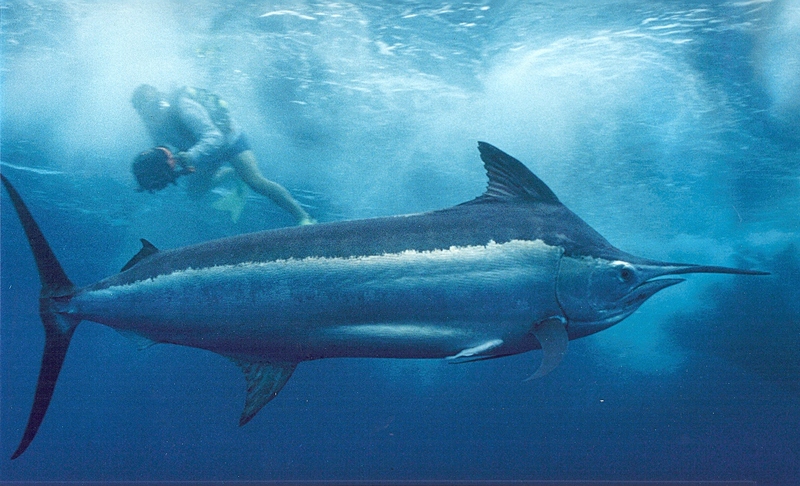 Marlin are one of the most prized saltwater game fishes due to their rare occurrence, large size and acrobatic leaps. Marlin are of tremendous importance to local economies that are staging grounds for sport fishing. Marlin are also targeted by a few commercial fisheries (most notably striped marlin in Australia and Ecuador) and incidentally killed by swordfish and tuna long-line operations. The habitat preferences, movement patterns and stock structure of the world’s marlin species is not well understood, stressing the need for the research conducted by the OCBS program. The Offield Center for Billfish Studies initial focus was on striped marlin throughout the Pacific, but recent years have seen the program widen its focus to include black marlin and, more recently, blue marlin. Tagging sites include Ghana, Madeira, Venezuela, Dominican Republic, California, Mexico, Panama, Ecuador, Costa Rica, New Zealand and Australia. OCBS collaborates with other organizations such as the The Billfish Foundation and the International Game Fishing Association, as well as noted scientists all over the world.